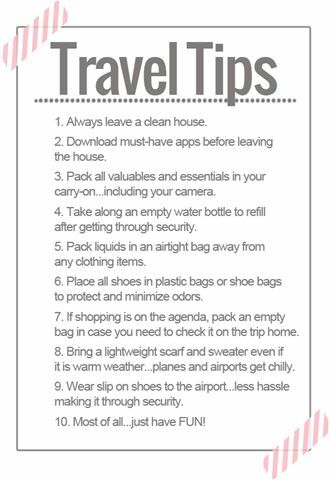 Just want to share these travel tips that I have uploaded from my pinterest board. I found it useful and a timely reminder for those going on travels especially this summer. :) Have Fun!